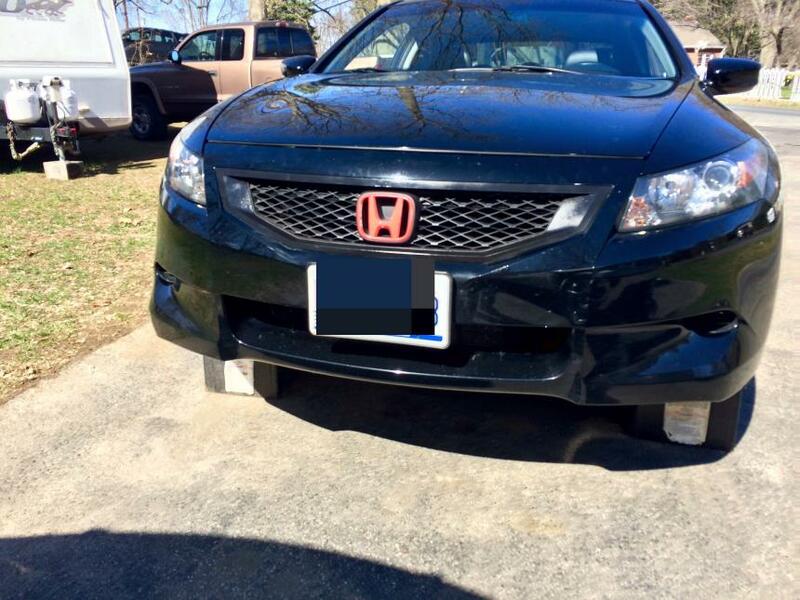 So, I got a little bored and decided to go crazy with plasti-dip for a much needed change on my Accord. Which is great because it can be easily removed. I wanted to know what the rest of the world thought about it, haha. 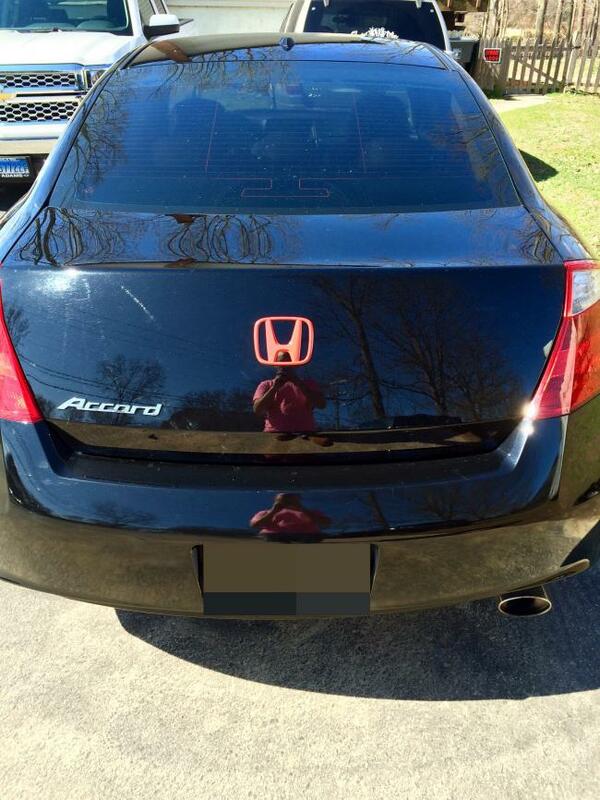 Well, the only emblem I took off was the "accord" emblem. I plan on getting rid of the chrome around the windows later this spring. I am torn about what I want to do because I thought about doing them black, but then someone suggested I do them in red to keep the color scheme going, but I think that'd be too much. Just remember everyone has their own opinion....at the end of the day it is what YOU like. 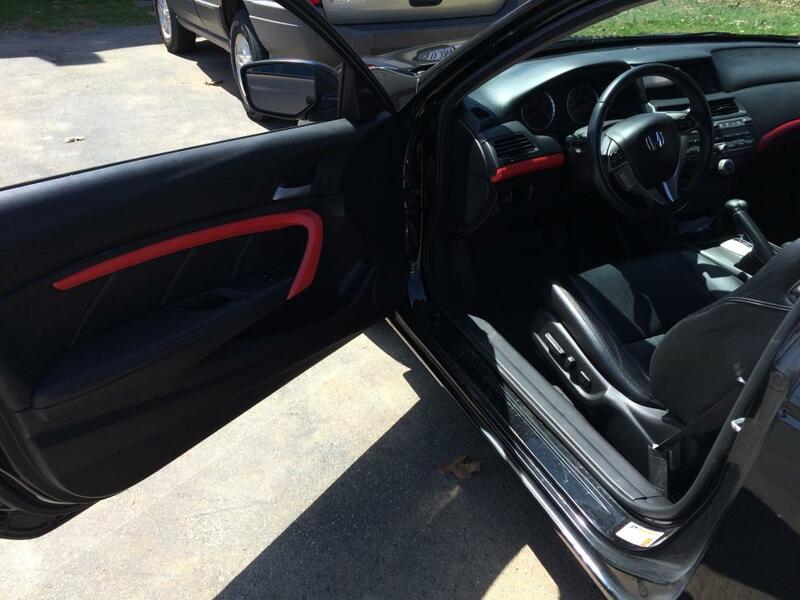 However, now I might have to get another accord anyway. I was in an accident on Friday by a hit and run driver. I was T-boned right behind my passenger door, and every air bag on the right side was deployed. Luckily, they found him and arrested him! Glad to know you were not hurt.